Last week on Bates Motel, Dr. Edwards (Damon Gupton) told Norman (Freddie Highmore) about his Norma persona that comes out when he blacks out. That Norma (Vera Farmiga) told the doctor of the abuse at the hands of Norman’s father, which is why she had to protect Norman. The real Norma met with Chick (Ryan Hurst) and basically lost her s**t around him in front of Alex (Nestor Carbonell). She confessed about her brother, but Romero didn’t care. He loves her and wants to stay with her. Dylan (Max Thieriot) went to pack his stuff to move to Seattle, despite Norma being upset about it, and found the letter Emma’s mom left. 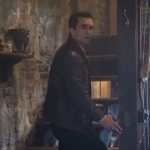 Bates Motel 4.7 “There’s No Place Like Home” review: Dr. Edwards is a great new addition to the character web. Norman is enjoying making his paper mache dog, until he pieces together the newspaper that says his mother married Sheriff Romero. He calls the house and Romero picks up, then quickly hands it to Norma. Norman tells her he is coming home, and they both lie to each other magnificently. This will certainly put a crimp in playing house with the Sheriff. He just handed her Bob Paris’s money too, and they hugged it out. Emma’s dad finally told Emma about her mom’s visit. Dylan walks in on them fighting, then Emma is pissed because he knew too. Emma wants to talk to her, but her phone is not in service. Dylan looks startled at that, but doesn’t share his fears. Rebecca passes by to give Romero his new married checks, and to say she was leaving town. Norman is determined to check himself out of the hospital. Dr. Edwards tries to talk him out of it. Norman is exceedingly polite, yet firm. Dylan confronts Norma about the letter he found in Norman’s room, and says he’s going to investigate. Norma screams in that Norma way. Dylan gives Emma the letter, and she is really upset about her mother’s abandonment, prompting Dylan to say “I love you.” So sweet! Norman totally bums Julian out, making him feel insignificant and small. Norma goes to the hospital to try to convince Norman not to come home. He blurts out what he knows and she tries to lie. She can’t, so she says the marriage is in name only. Tears are everywhere and Norma gives in. 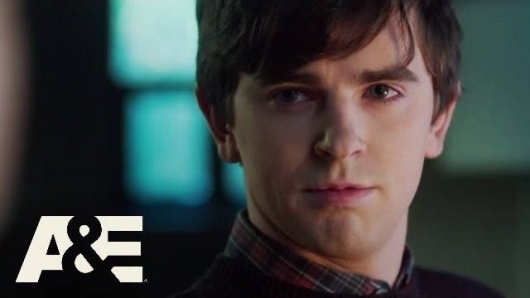 Dr. Edwards tries to talk to Norman, and once again Freddie Highmore shines as a sweet boy who is scared of what happens during his blackouts. The doctor is his lifeline and he recognizes that. I hope Dr. Edwards survives Norman Bates. Romero bought her a tv, and then was best husband ever by being understanding about Norman coming home. Such a sinister homecoming on a bright sunny day. Nestor Carbonell directed this episode, which is his 2nd turn for the show. He last directed Season 3’s “The Deal,” where Norma tried to make a deal with Bob Paris for the USB drive. I know it must be such a dream to direct these wonderful actors. Nothing crazy happened the entire episode, but it was brimming with tension and fear. With only 3 episodes left, what do you think will happen? – Dylan or Caleb kills Chick. – Julian kills himself. My other theory is that Julian isn’t real, even though others have spoken about him. – Norma lies (okay – that’s a given, not a prediction). – Emma dies from transplant complications. – I am very morbid. Bates Motel airs Monday nights at 9:00pm ET on A&E. Check out the Season 4 Episode 7 Official Preview for Bates Motel, Mondays 9/8c, followed by new series Damien 10/9c.